New Delhi: A media report claiming that the Defence Ministry had protested to the PMO the mechanism being adopted for the Rafale deal stormed a political storm on Friday with the Congress and the BJP launching a series of allegations and counter-claims. Defence Minister Nirmala Sitharaman dismissed the report as “flogging a dead horse” and accused the opposition of playing into the hands of multinational companies and vested interests. “They are flogging a dead horse. Periodical enquiries by the PMO cannot be construed as interference,” the minister said during the Zero Hour in the Lok Sabha. Referring to the report, which claimed that the then Defence Secretary had objected to the PMO allegedly conducting price negotiations with the French company, Sitharaman said the then Defence Minister Manohar Parrikar had replied to the letter asking the official to remain “calm” as everything was “alright”. “Was that not interference?,” she asked. The issue rocked then both Houses of the Parliament amid Congress’ demand of a JPC probe into the defence deal. Both the Lok Sabha and the Rajya Sabha were adjourned amid protests by the opposition. Earlier, the Defence Ministry clarified that its dissent note on the negotiations had nothing to do with the pricing of the deal but was about sovereign guarantees and general terms and conditions. 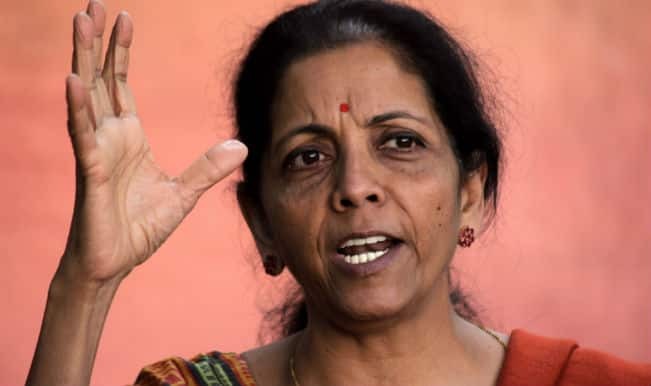 Sitharaman’s outburst came after Congress chief Rahul Gandhi cited the media report to attack the Modi government, claiming that the Prime Minister’s Office was directly involved in negotiations with the French on the Rafale deal and PM Modi was guilty in the scam. It is an open and shut case, Gandhi declared, citing a report in The Hindu newspaper claiming the Defence ministry raised strong objections to “parallel discussions” conducted by the PMO during the negotiations over the Rs 59,000 crore Rafale deal between India and France. “I want to speak to every member of the armed forces of this nation… Here, it is absolutely clear that the prime minister has stolen Rs 30,000 crore of your money, bypassed a process, and given it to his friend Mr. Anil Ambani,” Rahul said at a press conference. Earlier in the day, Rahul had dared PM Modi to a five minute face-to-face debate on issues such as the controversial jet deal and national security.